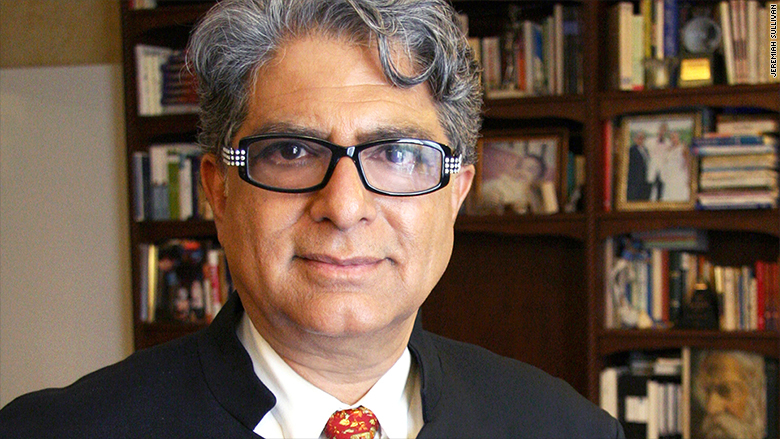 Deepak Chopra is going full-on into the digital health space. 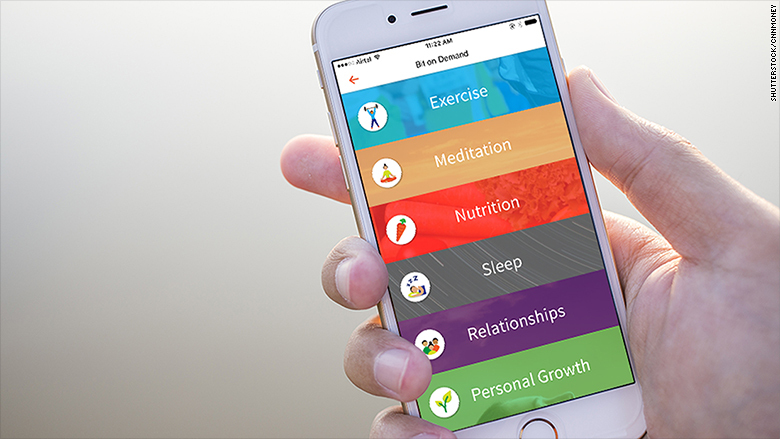 On Thursday, the New Age guru launched Jiyo, a health and wellness app that promises to be "your better half." Chopra has released meditation apps in the past (including ones with Oprah) but this marks his first foray in developing a more holistic wellness app. Mindfulness and "brain hacking" startups are having a moment, with companies like Headspace, a meditation app, and Halo Neuroscience, which sends electric pulses to the brain to improve workouts. Just last week, a new bracelet launched, which will use cutting-edge biometric sensors to track your physical and emotion well-being. Now, Chopra is hopping on this digital trend. He's been advocating for mindfulness and meditation for decades. He's a best-selling author with 80 books to his name, and since the 1990s, he's been heading up the Chopra Center in Carlsbad, California, where more than 3 million people have taken meditation, yoga and health classes. "Technology shouldn't be your master, it should be your slave. We're going to use it to help you," Chopra told CNNMoney at the Deepak Homebase in New York City on Wednesday. Related: Stressed or in love? This bracelet can figure it out. Jiyo doesn't just address mindfulness or meditation like some other apps but rather aims to tackle the spectrum of well-being. "There's mantra meditation, self reflection, body awareness, awareness of relationships and emotions -- we teach the whole gamut. Now people can do that online, at their convenience," said Chopra, who refers to Jiyo as "purposeful technology." He was wearing both a Fitbit and an Apple Watch because he's testing how the devices compare in tracking things like steps and heart rate. Jiyo can connect to your FitBit, Apple Watch, and phone to understand your habits and make personalized recommendations for everything from exercise and nutrition to sleep and stress. He said Jiyo could, for instance, learn that you typically call a loved one but haven't recently because you've been traveling. Jiyo might remind you to check in on them. Similarly, if you haven't taken any "steps" in recent hours, it may send you a stretch or yoga position to try. Chopra is adamant that people set time aside for their relationships, meditation and work. Multitasking is addictive, he said. "It's as bad as cocaine." Chopra and cofounder Poonacha Machaiah have been working to bring Jiyo to life for the past four years. Chopra said the idea came from a simple yet ambitious goal: Getting one billion people actively working toward self improvement. "If one billion people are engaged in personal transformation, then social transformation would automatically happen," he said. Jiyo also has video content from Chopra and other experts, and it has partnered with wellness software management firm Mindbody so people can find nearby yoga or meditation studios. There's a community aspect so Jiyo users can engage and support one another. The app is free (but there will be a $1.99 monthly fee to access premium features, like genetic testing or one-on-one consultations). More features are slated to roll out in the coming months. A partnership with Thrive Market will let users shop for supplements and food. It also plans to roll out a wellness take on the selfie, "Welfie," which will help Jiyo track changes in your face and decipher what they might mean about your routine. Related: Social media and mental health: "We are more than our profile pictures"
Jiyo plans to strike up partnerships with businesses, like India-based hospital group, Apollo Life, which has 1.5 million corporate users. Chopra said he's also developing a VR meditation experience. The potential there is huge, said Chopra, who added that he tried VR and that even he -- a peaceful person -- "got addicted to shooting aliens." "If you can get somebody to shoot people in 15 minutes, you should be able to give them peace of mind in 15 minutes."